Here it is… you’ve been wondering “when is she going to start inserting pumpkin into everything?”. The time has come and I am hitting the ground running with pumpkin soup. So this is not pumpkin soup where you roast a whole pumpkin. Or pumpkin soup that get’s supplemented with quinoa and pepitas. 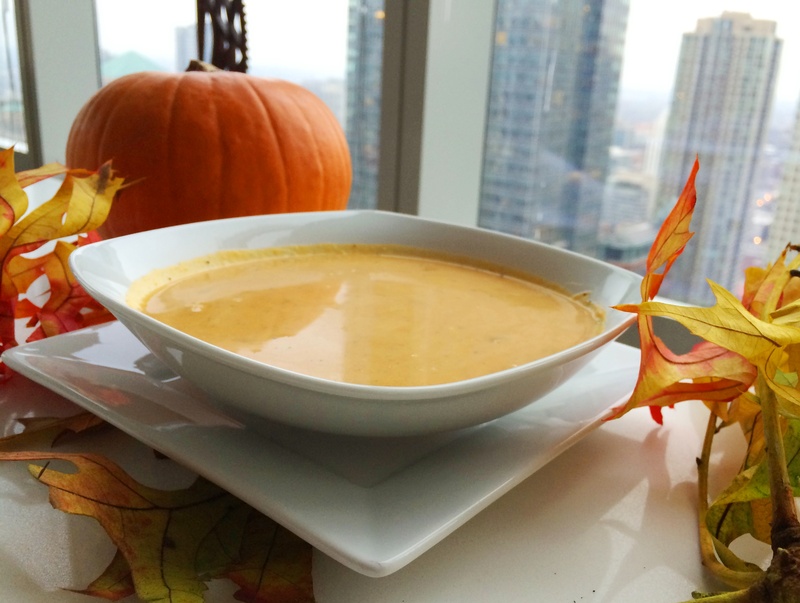 This is easy, unhealthy, delicious pumpkin soup that everyone will love. 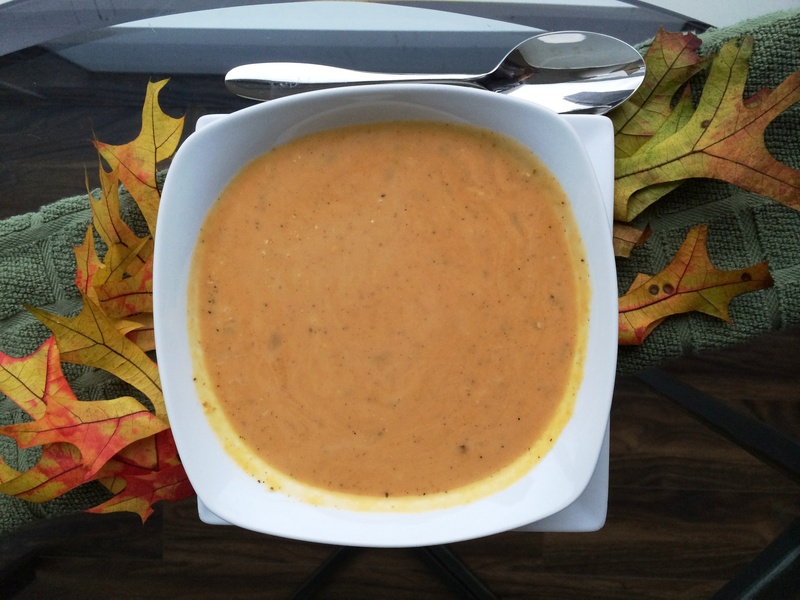 I made this soup times four… and pretty much managed to mess up all the ingredient quantities (instead of four, 28 ounce cans I bought 15 ounce cans… instead of 24 cups of stock I bought 24 ounces… why was this so hard for me? It’s unclear). The point is you can add in more or less ingredients as you go even if that means running out to the store and adding pumpkin back in after the soup has been finished, chilled down, and stored like I did. 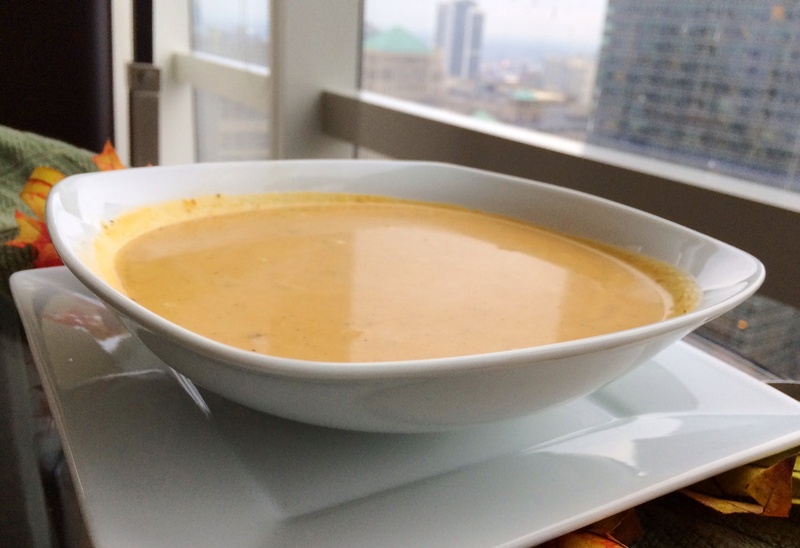 The soup will still taste delicious… this recipe is that solid. Heat a soup pot over medium high heat. Add oil and butter. Add bay, celery, onion, salt/pep. Cook 7 minutes, until tender. Add flour, poultry seasoning and hot sauce, then cook flour a minute. Whisk in stock and bring liquid to boil. Whisk in pumpkin in large spoonfuls until it becomes friends with the broth. Simmer soup over low heat for 10 minutes to thicken and then add cream. Adjust for seasoning. Garnish with cranberries, marshmallows, a spoon,etc.